Rob is travelling: fascinating mountains popping up from the sea. The reflection in the water continues to change during the day. 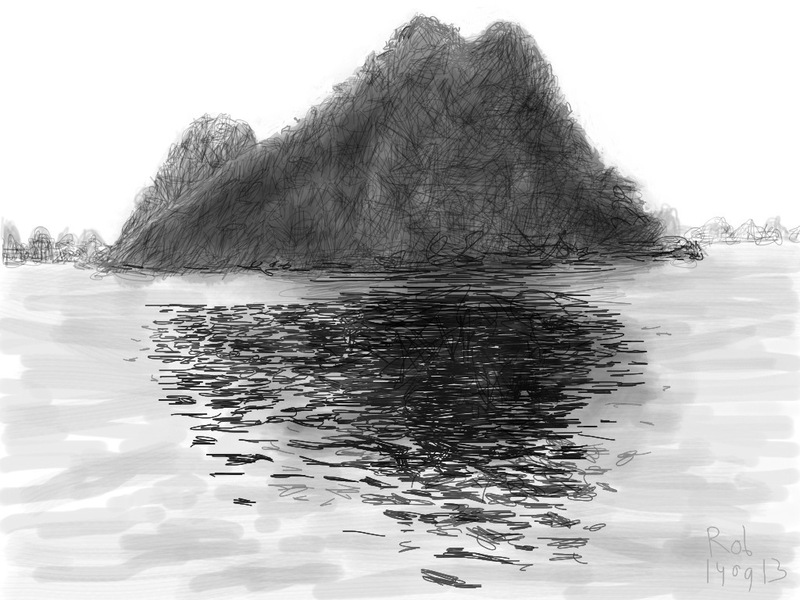 This entry was posted in Figurative, Landscape and tagged art, drawing, halong bay, image, iPad, painting, photo, sketch, tourism, travel, Vietnam on 14/09/2013 by robvandoeselaar. 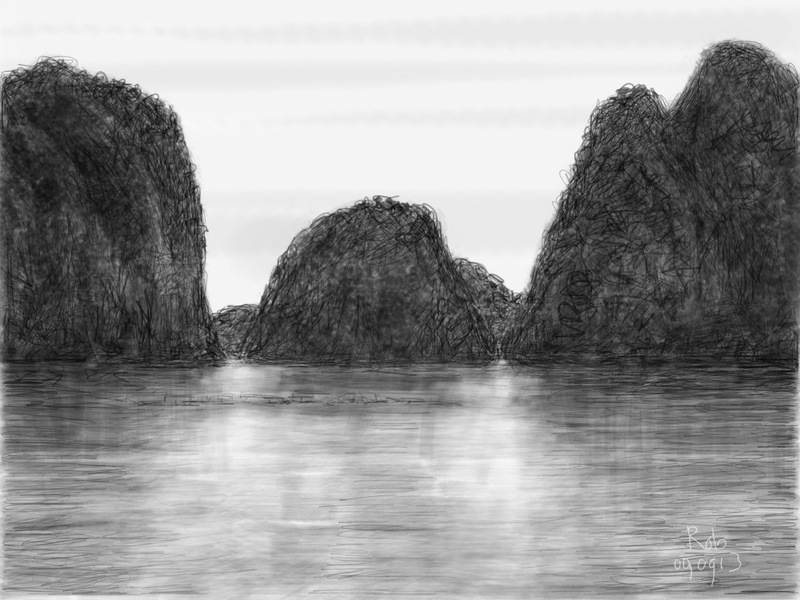 This entry was posted in Figurative, Landscape and tagged art, asia, drawing, halong bay, image, sketch, tourism, travel, Vietnam on 10/09/2013 by robvandoeselaar.